And that’s true. She doesn’t know it is Christmas present but she may remember Christmas past and that may be the way to connect with her and bring a little happiness to your day. Most of us save ornaments from year to year and some of them become family favorites that become little treasures of happy times. Forget about putting up a tree and having to deal with all that entails. If you can do it without too much trouble, bring out one or two of the ornaments that adorned the trees in your home when you were growing up. 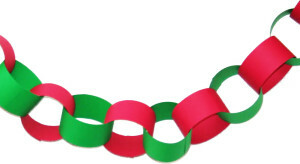 I remember making red and green chains out of construction paper as a child. Mom saved them until the glue dried out and they fell apart. Seeing even a picture of one makes me smile. I made some with my kids when they were little. Perhaps your family made them too. Even if they are long gone a picture of one may do the same in your home. 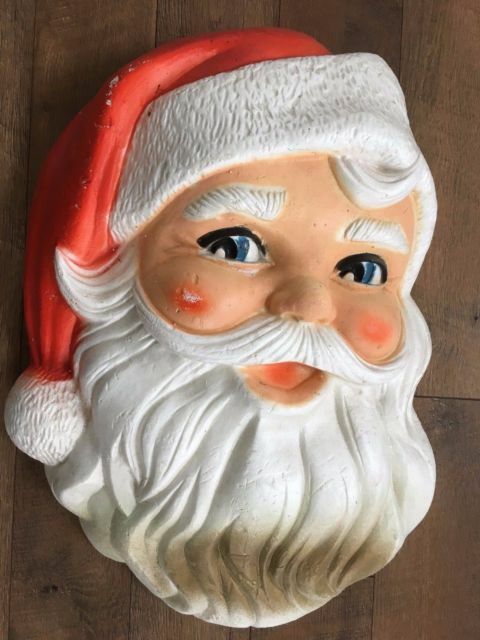 When my kids were little we had a large Styrofoam Santa head smiling at us from over the mantle each year. Now all my children have one to hang in their home. I won’t need a tree or lots of fuss to evoke Christmas when I am old. Seeing that Santa head will always connect us and bring back memories. Hearing traditional Christmas carols may inspire an unexpected sing-along. And if your family is anything like ours you may want to include some of the less traditional ones like, Grandma Got Run Over By a Reindeer, I Saw Mommy Kissing Santa Claus, or Santa Baby to mix things up. If friends or family members ask what you want for Christmas tell them to forget about certificates for spa days you will never use. Tell them to stop by and bring a vintage Christmas card for your loved one and spend some time with them to give you a break. That’s what you really need and want any time of the year. The gift of time is priceless. Do you have a favorite ornament or Christmas song that evokes Christmas memories that connect you and you loved with Christmas past? If you do, feel free to share them here.